Our 2017 convention speaker was the Rev. Becca Stevens, a powerful force for change in the battle against Human Trafficking. Stevens is the founder of Thistle Farms, a powerful community of women who are healing from prostitution, trafficking and addiction. Learn more about the decision to become a Sanctuary Diocese and what that means for those in the Diocese of New Jersey. 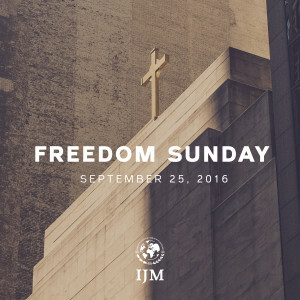 Freedom Sunday is a global day of worship, prayer and action on human trafficking.